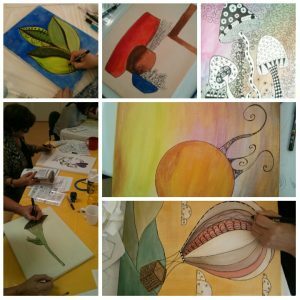 A new and exciting wet media class where you will learn how to create your own painted Zentangle-Inspired-Art (ZIA) canvas using acrylics and ink. 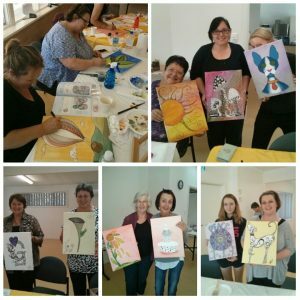 The day includes lots of tips and hands on support and guidance from Elizabeth L James, local Adelaide Hills Artist and Tutor. 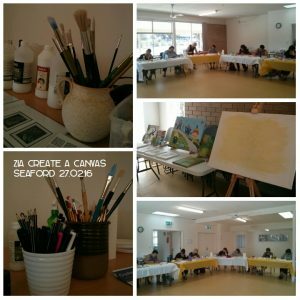 All materials are provided although feel free to bring along your (acrylic) paints and brushes if you have and prefer to work with. Numbers are limited for quality of learning. 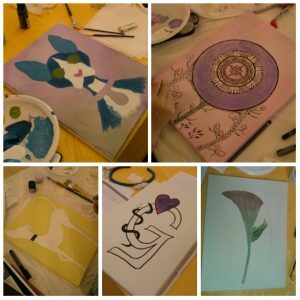 Open to all : Suitable for the beginner to experienced tangler and don’t worry if you’ve never picked up a paintbrush before – I provide hands on step by step guidance in all my workshops. There will be guided subjects available for inspiration. Investment : $120 per person or bring a friend and pay just $95 each. Repeat attendees $75.00. Under 18s welcome at $60 with an accompanying adult paying the reduced ‘bring a friend’ price of $95. A $20 deposit (per person) secures your place with the balance due on the day. 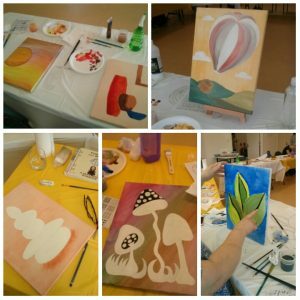 All materials provided plus refreshments, comprehensive reference materials and take-home canvas. 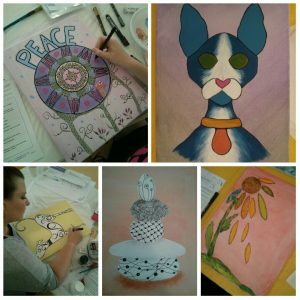 You may also be interested in the Introduction to Zentangle® Mindful Art Workshop – a beginner-intermediate Zentangle drawing class.